In case of a traffic jam on A57 take A44 exit no. 24 “Zentrum” then follow the B57 signs for 8 kms from the first traffic light on. 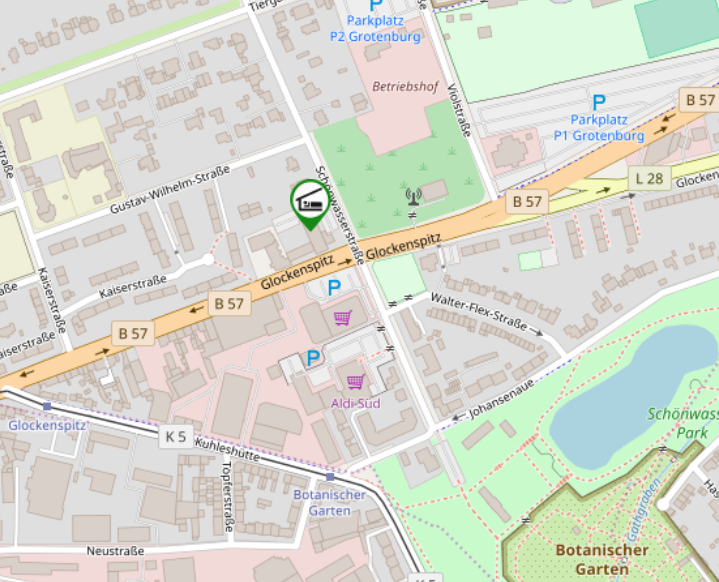 If your GPS navigation system fails to find Schönwasserstrasse, please enter “Glockenspitz 140” as destination address, this building is located directly next to us. Buses and trucks can be parked in the nearby Violstraße. There is a limited number of free parking spaces in front of the hotel. If these are occupied, you may alternatively park your car in Gustav-Wilhelm-Strasse. Parking spaces in the underground garage cost 8 euros per day – please reserve in advance!